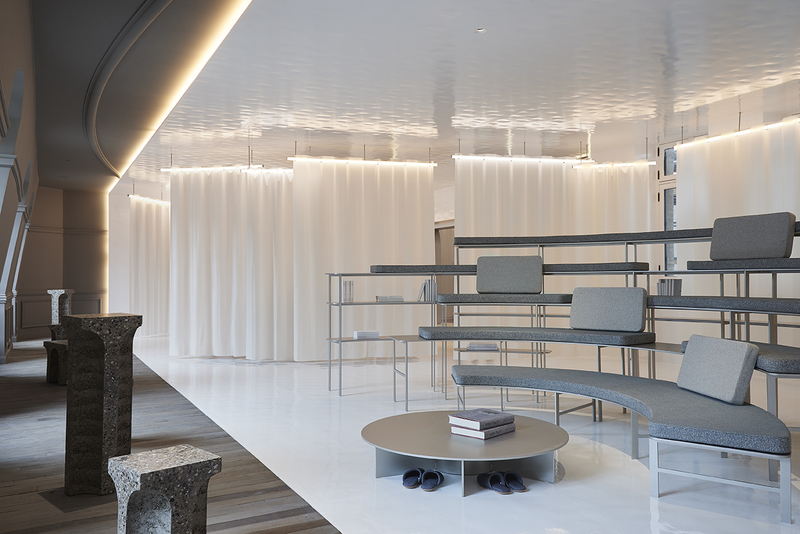 On September 5th AD France opened the doors to its annual exhibition AD Intérieurs 2018 during Paris Design Week. 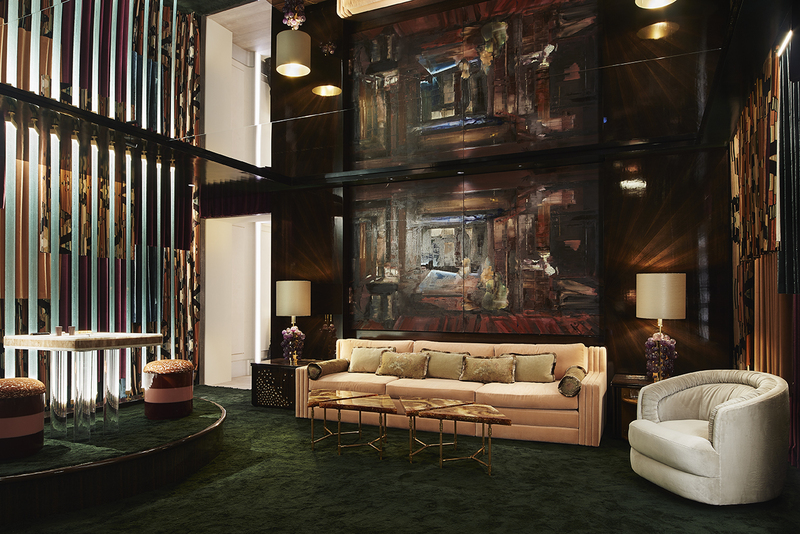 Set in the heart of Paris in the magnificent Hôtel de la Bûcherie, this years exhibition pays tribute to a select group of fifteen top interior designers. 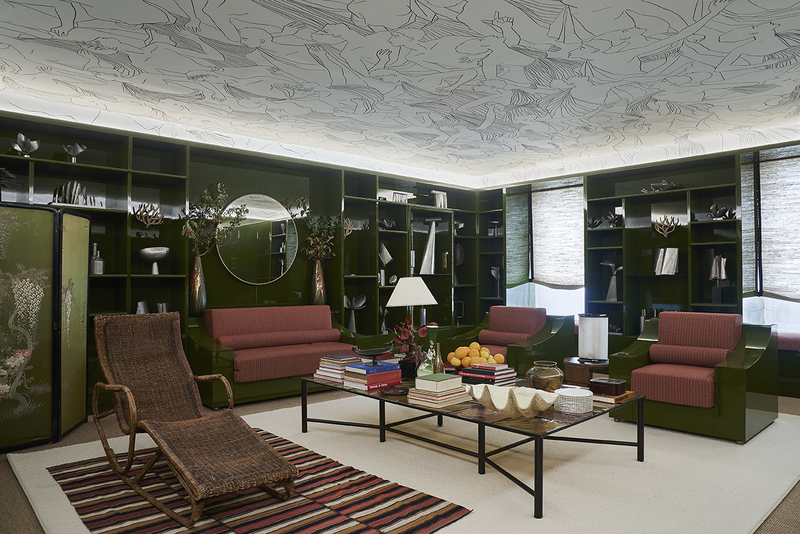 Each talent expertly designed a room illustrating their know-how as well as their style. 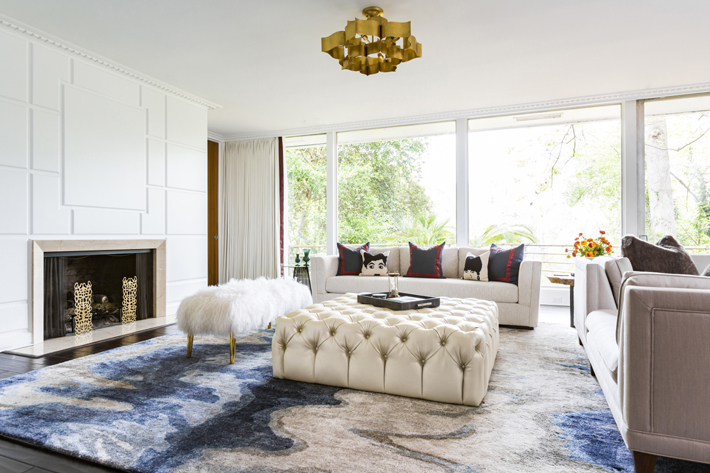 Luxurious furniture, rich textiles, beautiful finishes, exquisite lighting, and perfectly appointed accessories fill each space showcasing the designer’s skill as well as the uniquely talented craftsmen and artisans who helped bring each room to life. 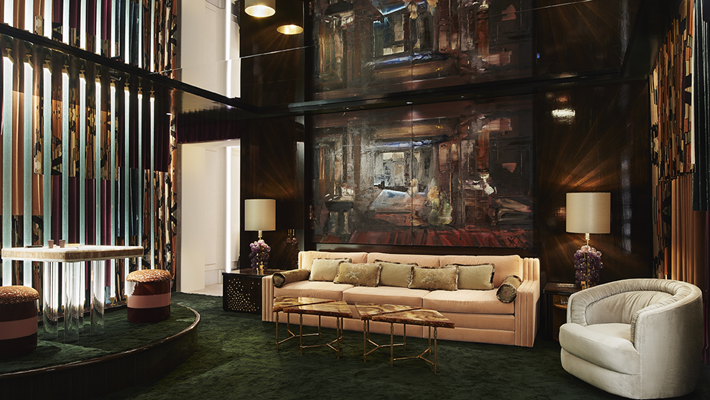 If you are in Paris for Maison et Objet and Paris Design Week AD Interieurs exhibit is an essential place to visit! Hôtel de la Bûcherie. Source: Compagnie de Phalsbourg via AD France. Located in the 5th arrondissement, the Hôtel de la Bûcherie is an architectural jewel of the fifteenth century. Built between 1472 and 1481 to accommodate the first Faculty of Medicine of Paris, this magnificent building was completed in the 16th century and is ranked as a monument. 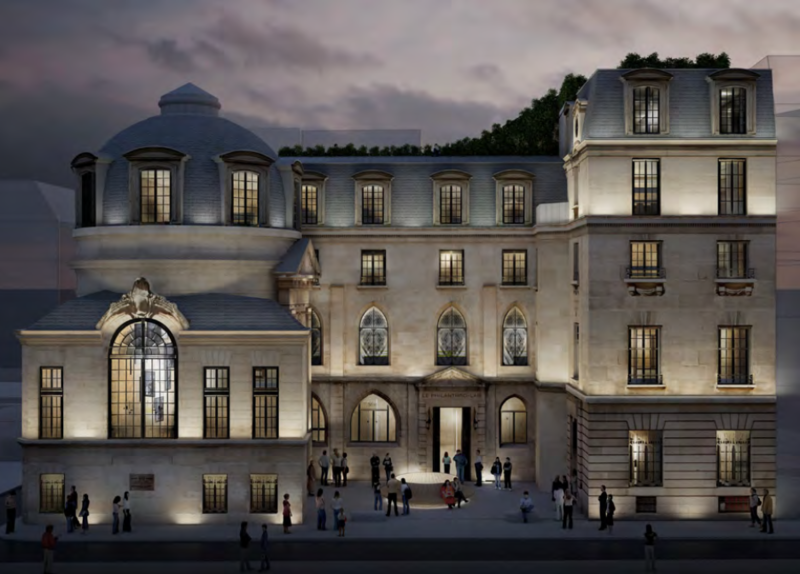 In 2019 the Company Phalsbourg will open the Compagnie des Philanthropes, one of its three project winners of Reinventing Paris, at this site. This innovative new space will be a place to foster new emerging philanthropic projects. 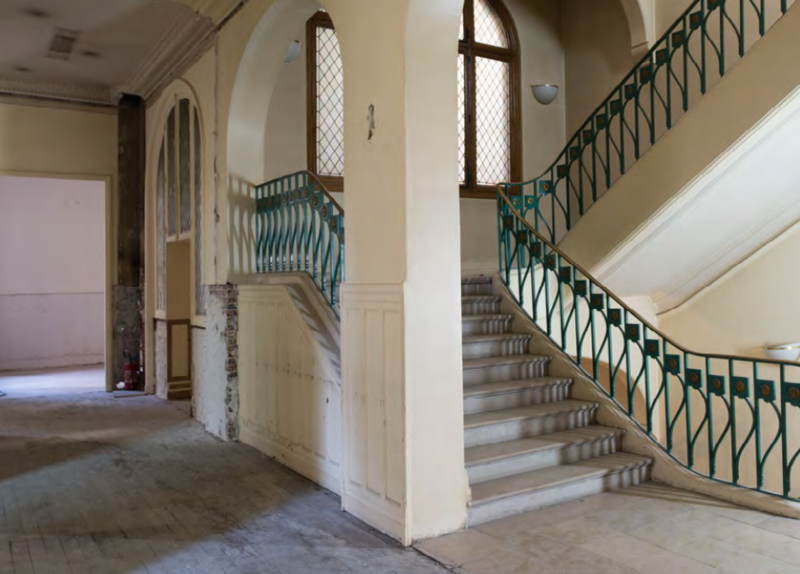 An incubator of sorts, a concept which draws strength from the experiences of Karine and Philippe Journo, patrons who focus on renovating historical heritage sites and making culture more democratic. Hôtel de la Bûcherie. Source: AD France. 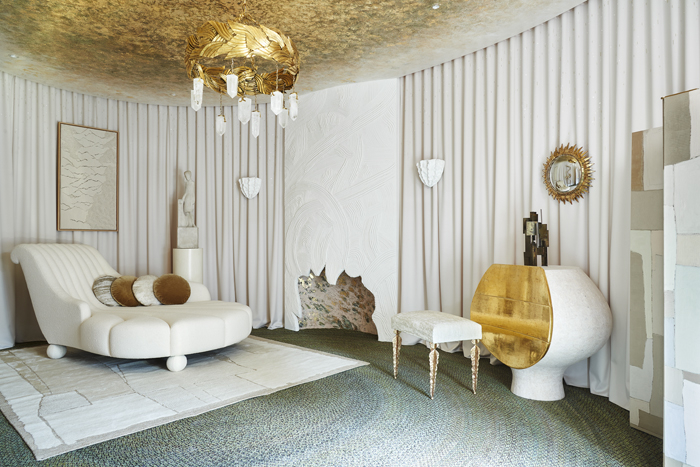 In the process of becoming the Compagnie des Philanthropes, the space lends itself as a work-in-progress leading to this year’s AD Interieurs theme, “rough and precious.” Raw, untreated spaces contrast with highly elaborate finished ones creating an alluring atmosphere. 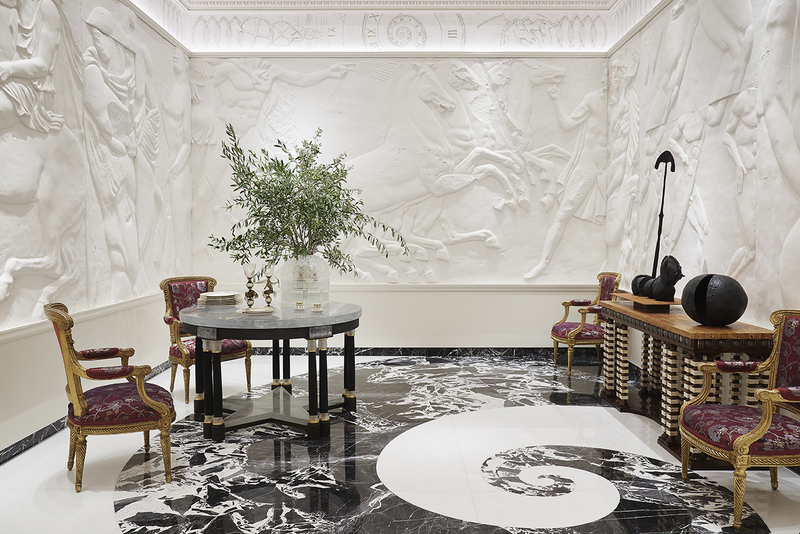 Chosen to represent the diversity of the styles of the moment, this year’s guest decorators include: Bismut & Bismut, Fabrizio Casiraghi, Ramy Fischler, Maurizio Galante & Tal Lancman, Laura Gonzalez, Humbert & Poyet, Lecoadic Scotto, Mathieu Lehanneur, Thierry Lemaire, Juan Pablo Molyneux, Oitoemponto, Anne-Sophie Pailleret, Stéphane Parmentier, Eric Schmitt, and Nicolas Schuybroek. Scroll on to see more images of their stunning spaces! 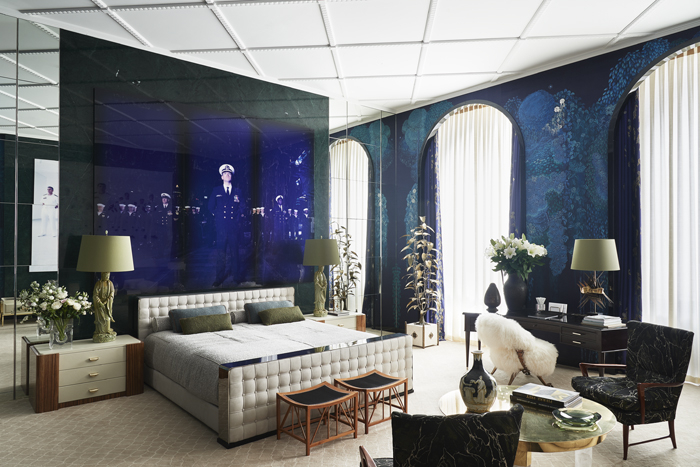 The Couture Bedroom by Anne-Sophie Pailleret. Source: Photo by Claire Israël via AD France. The Conversation Room by Bismut & Bismut. Source: Photo by Claire Israël via AD France. The Gambling Den by Laura Gonzalez. Source: Photo by Claire Israël via AD France. 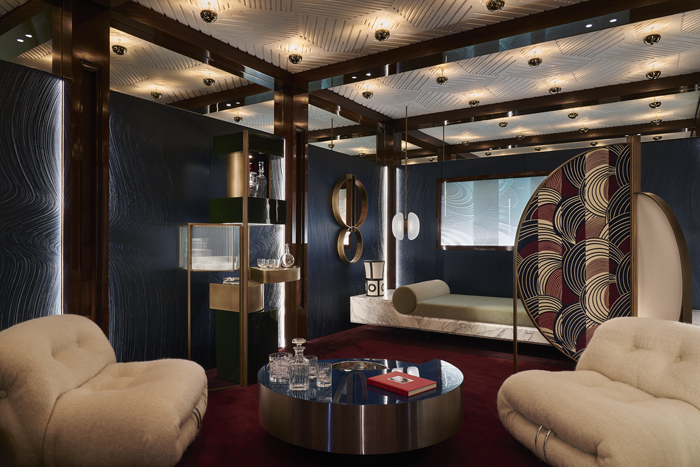 The Nocturnal Smoking Room by Humbert & Poyet. Source: Photo by Claire Israël via AD France. The Bohemian Library by Fabrizio Casiraghi. Source: Photo by Claire Israël via AD France. The Dandy’s Antechamber by Lecoadic Scotto. Source: Photo by Claire Israël via AD France. 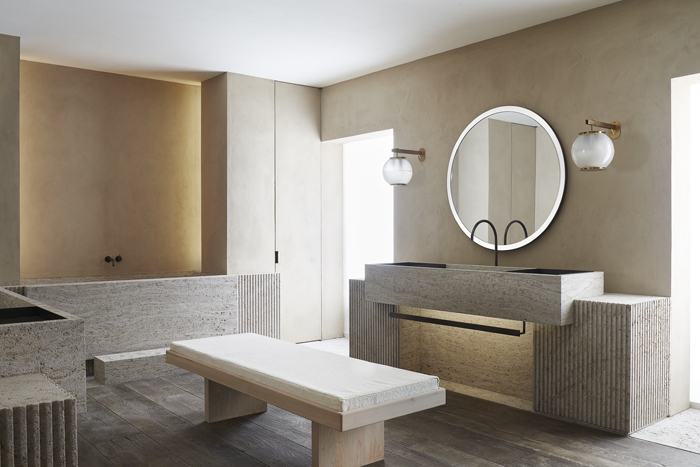 The Bathing Lounge by Nicolas Schuybroek. Source: Photo by Claire Israël via AD France. Neoclassical Dining Room by Juan Pablo Molyneux. Source: Photo by Claire Israël via AD France. The Reading Cabinet by Éric Schmitt. Source: Photo by Claire Israël via AD France. The Prospective Office by Ramy Fischler. Source: Photo by Claire Israël via AD France. 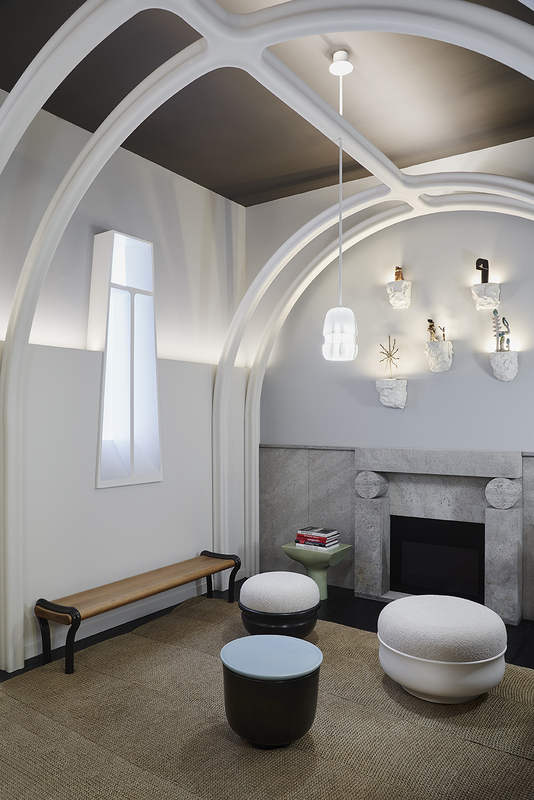 The Meditation Room by Mathieu Lehanneur. Source: Photo by Claire Israël via AD France. The Manga Tearoom by Maurizio Galante & Tal Lancman. Source: Photo by Claire Israël via AD France. The Resting Office by Stéphane Parmentier. Source: Photo by Claire Israël via AD France.